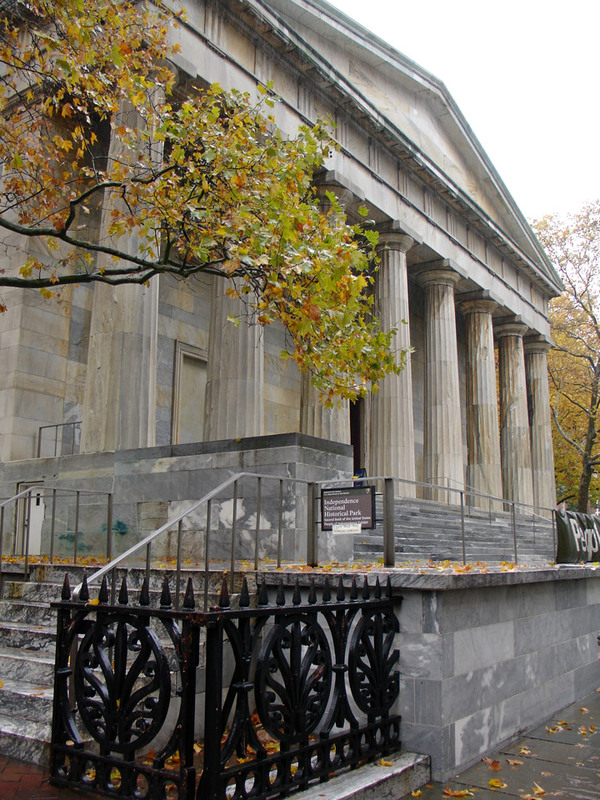 Between 4th and 5th Streets, the splendor of the Second Bank of the United States confronts us. 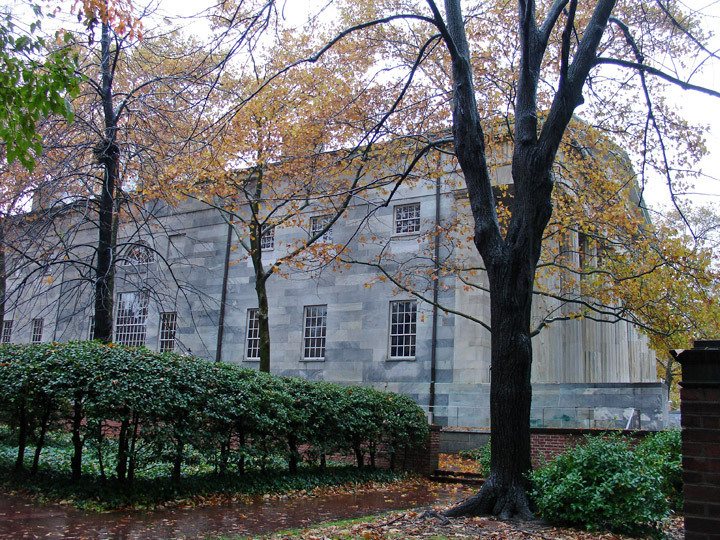 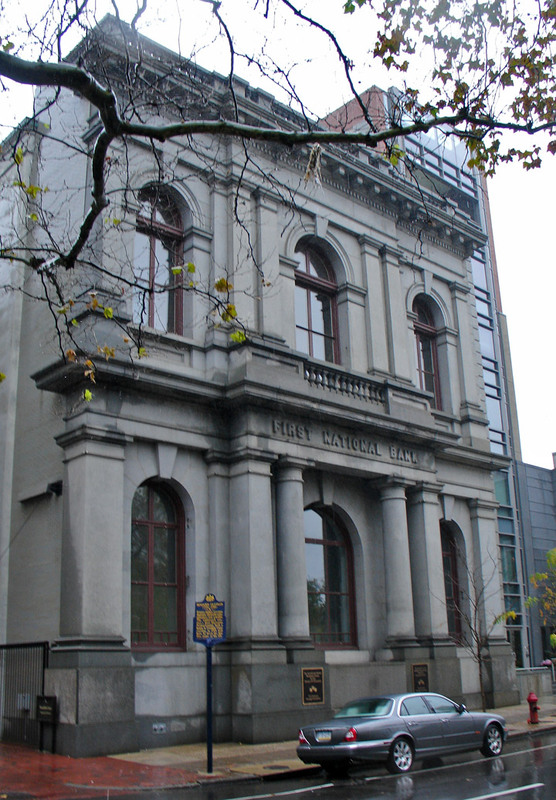 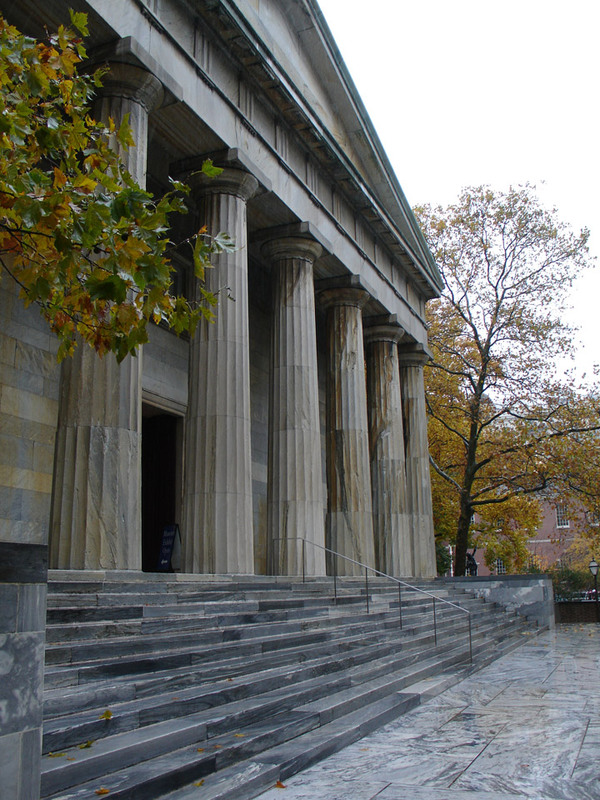 It is a superb example of the Greek Revival and one of Philadelphia's most handsome buildings. 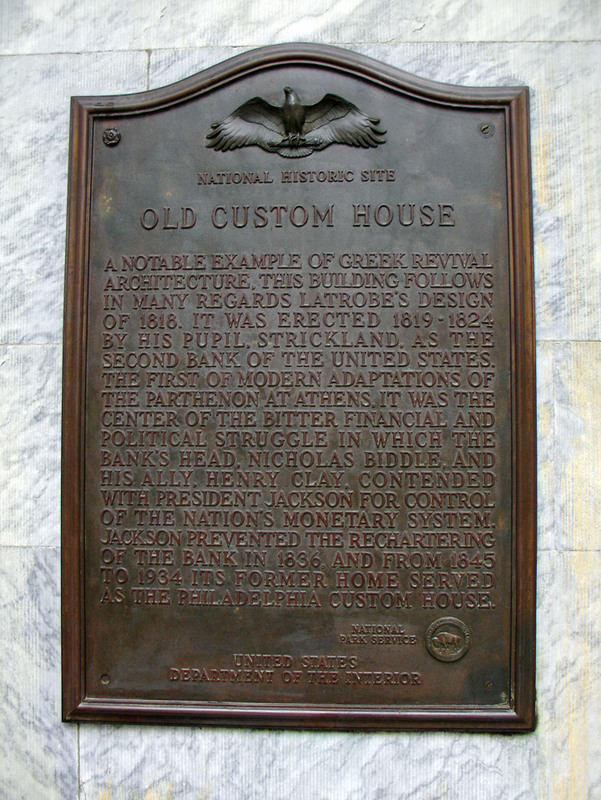 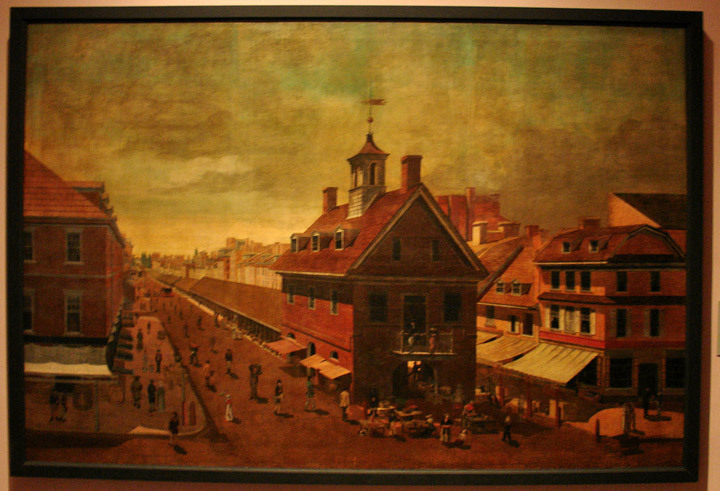 The architect was the same William Strickland who designed the Philadelphia Merchant's Exchange and the steeple of Independence Hall. 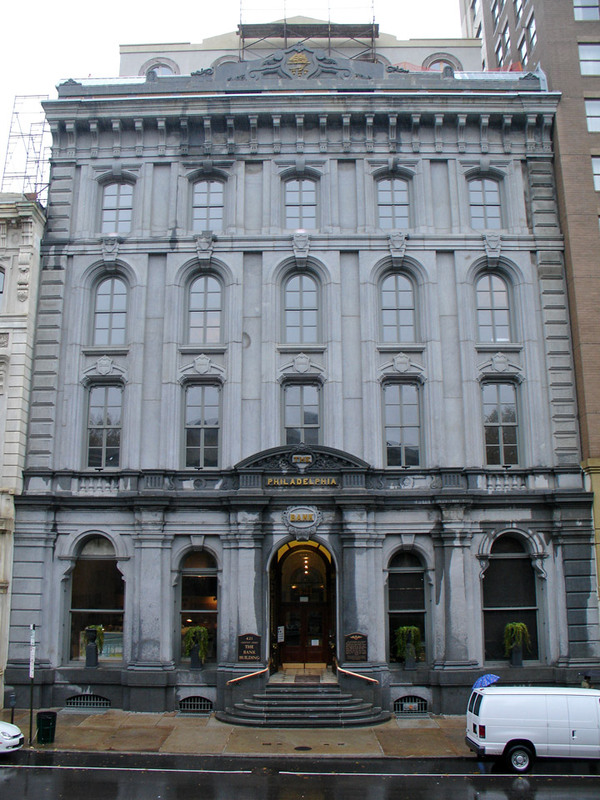 The bank was built between 1819 and 1824. 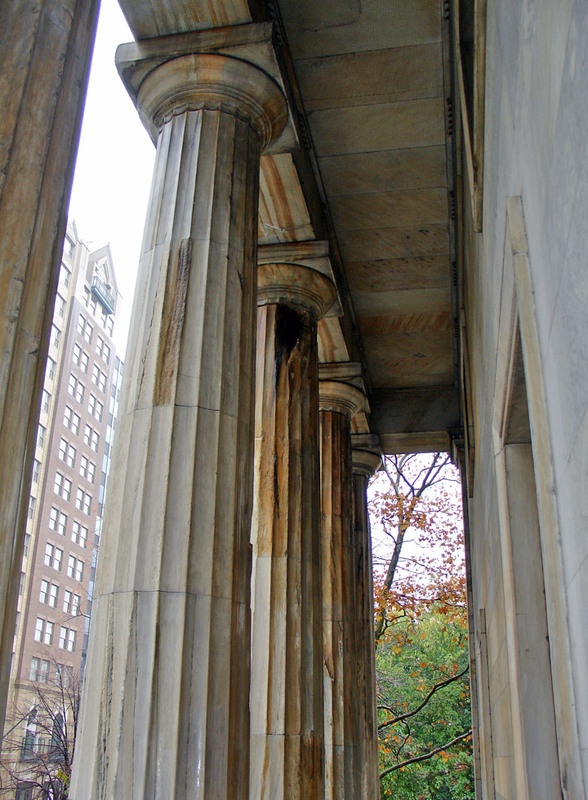 Its facades are adaptations of the Parthenon with north and south Doric porticoes. 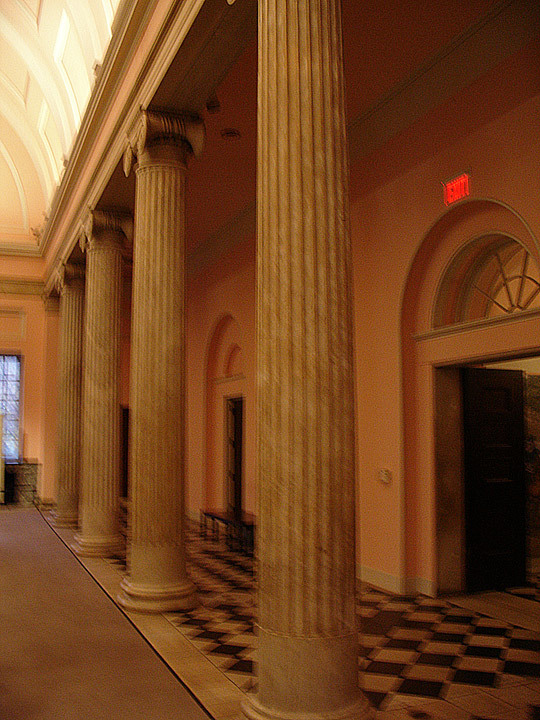 Inside, the great banking room has a barrel-vault ceiling springing from Ionic colonnades. 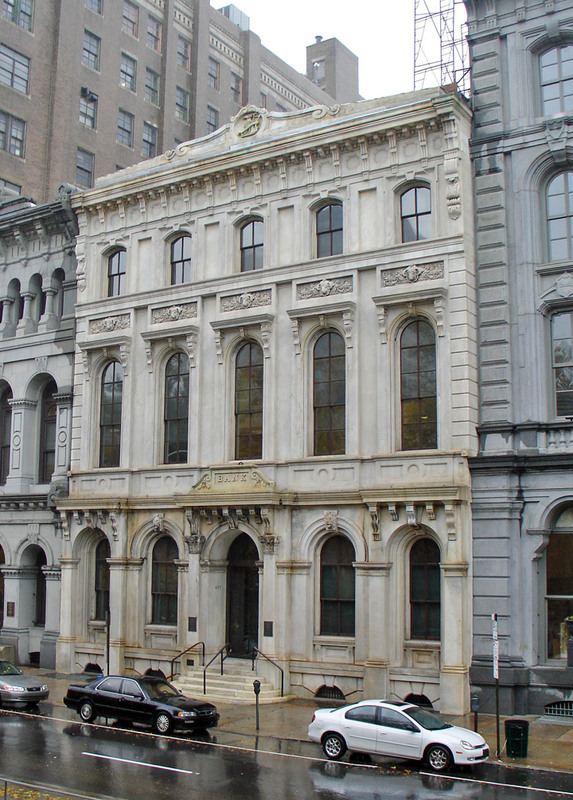 Bought by the federal government in 1844, it was used as the Custom House until 1934 and is popularly known in Philadelphia as "the old Custom House." 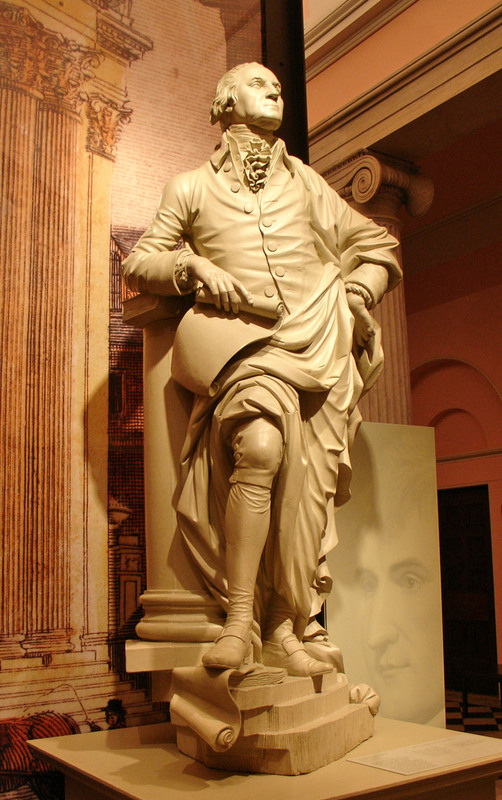 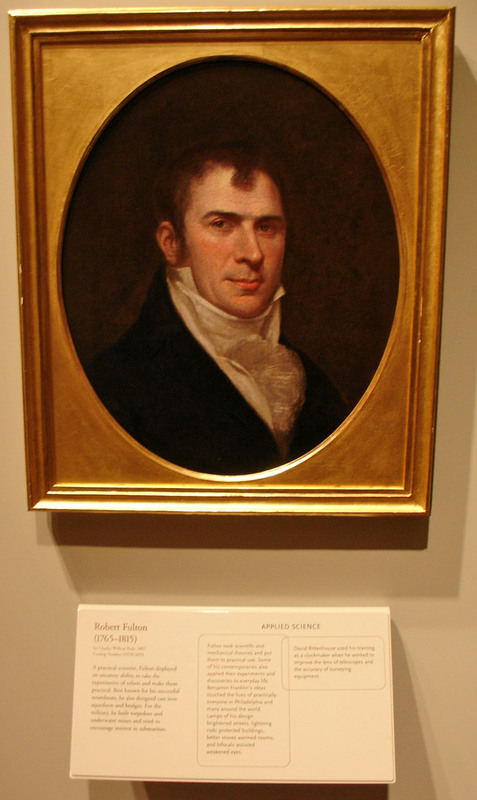 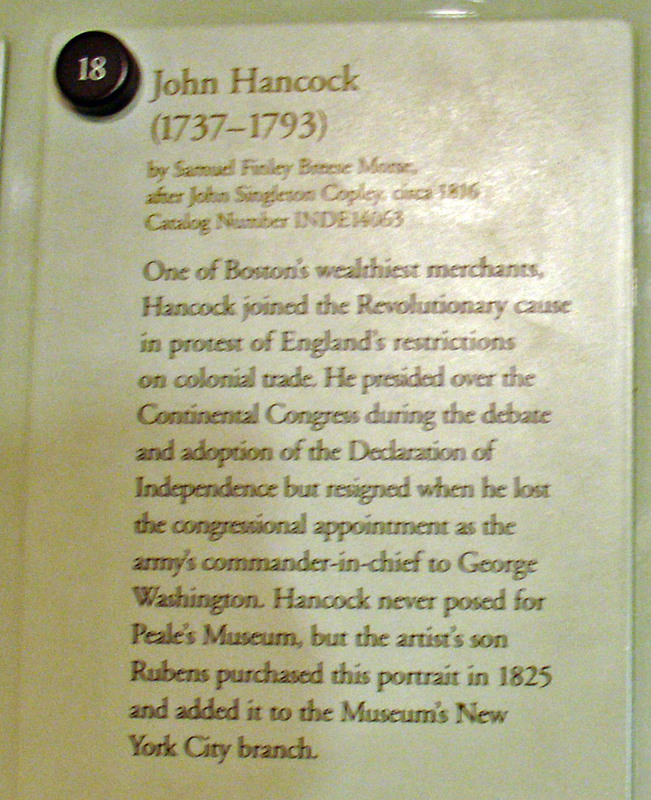 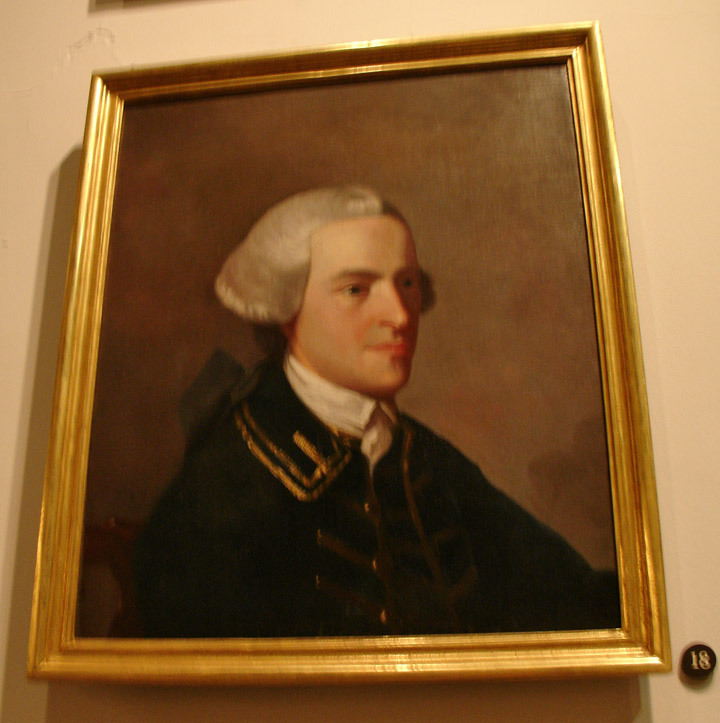 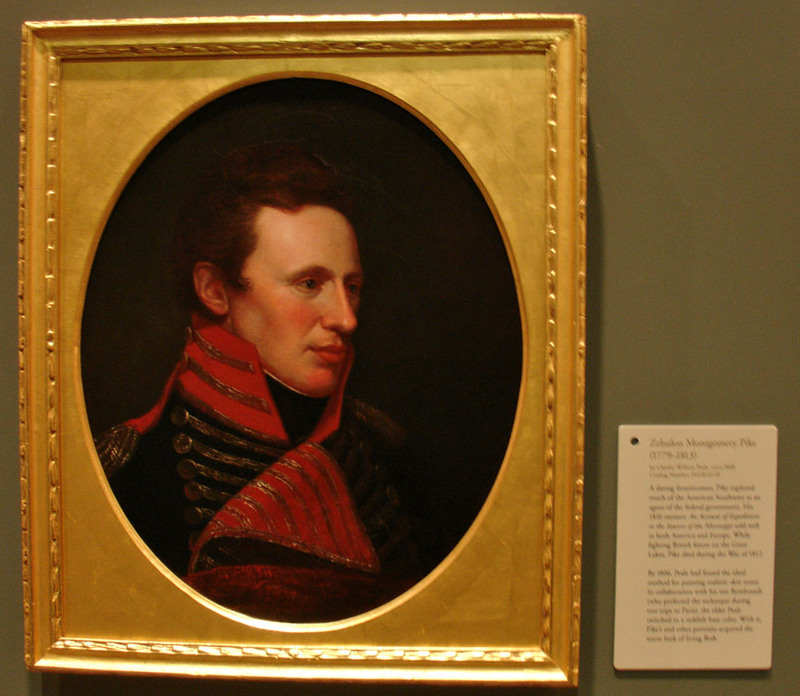 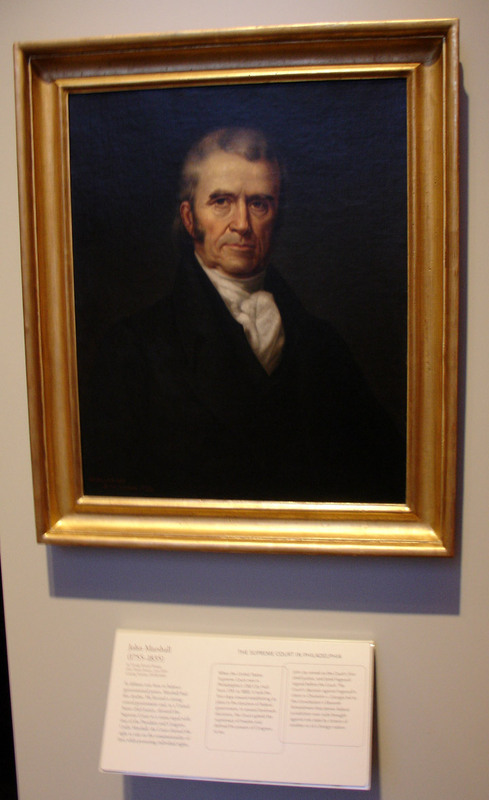 Today the bank houses the portrait gallery, containing over one hundred Revolutionary and Federal portraits. 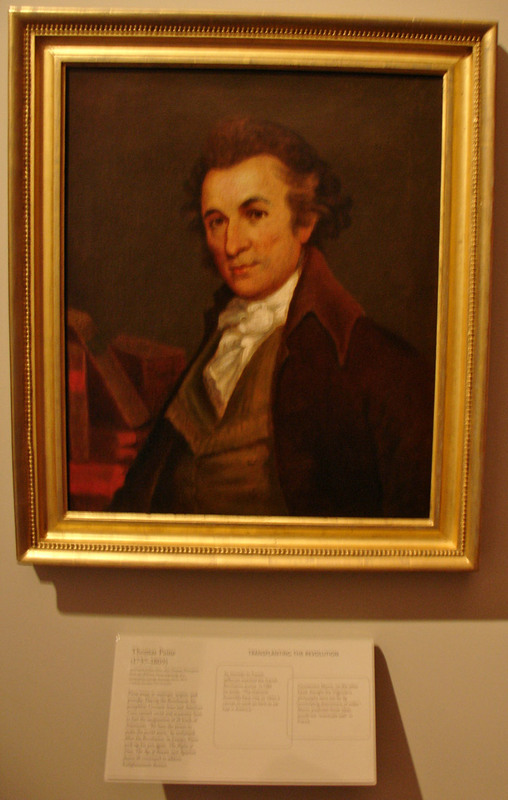 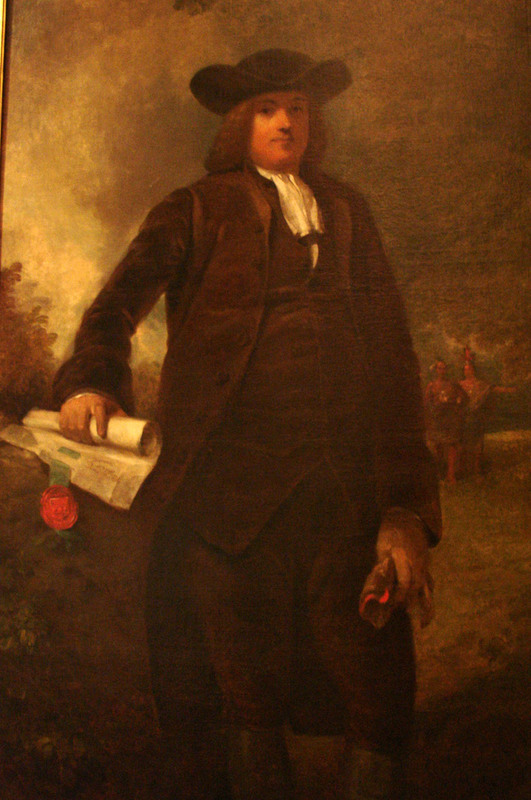 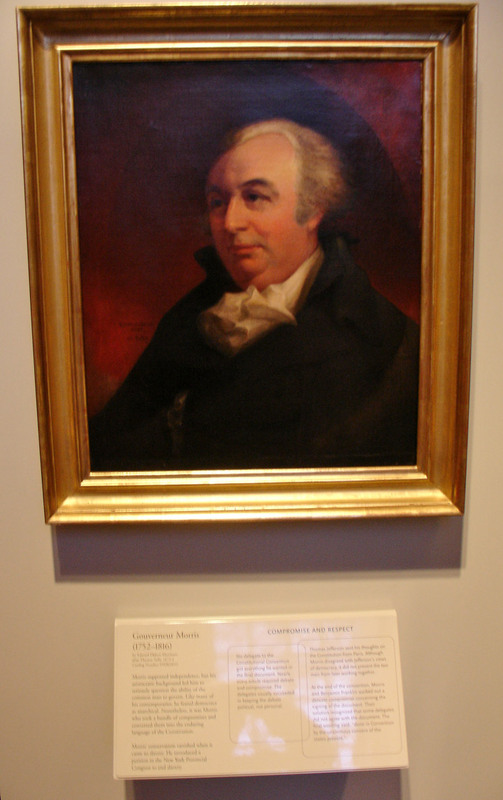 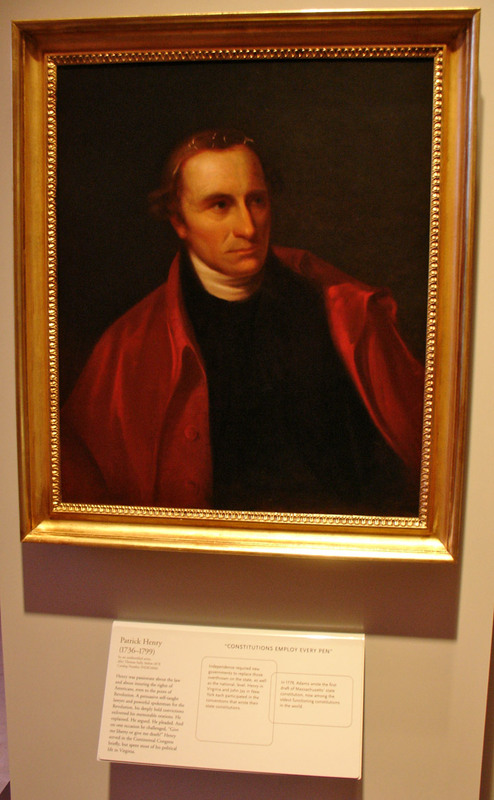 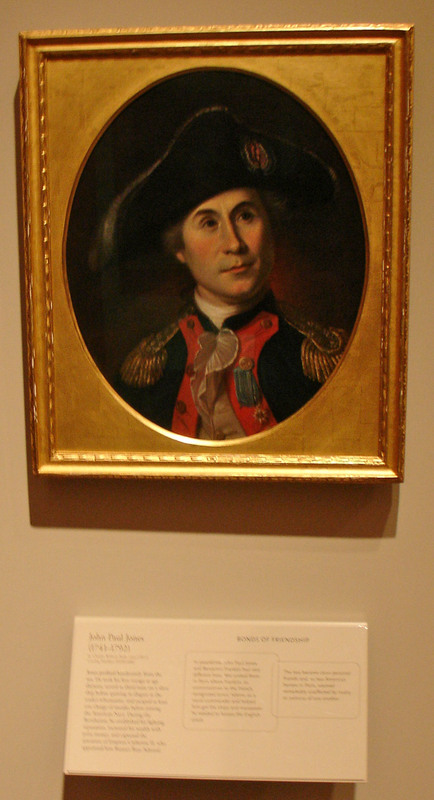 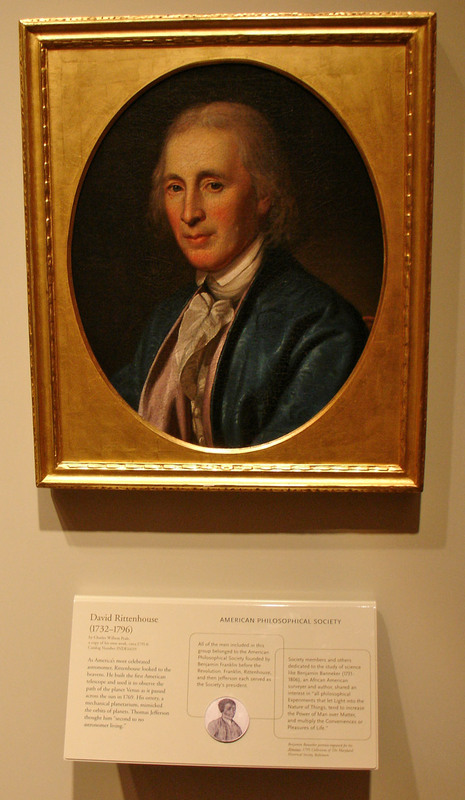 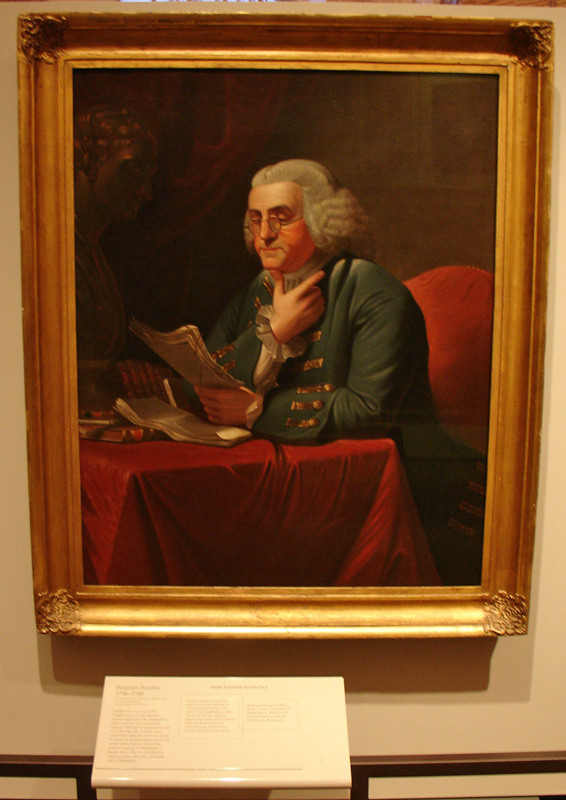 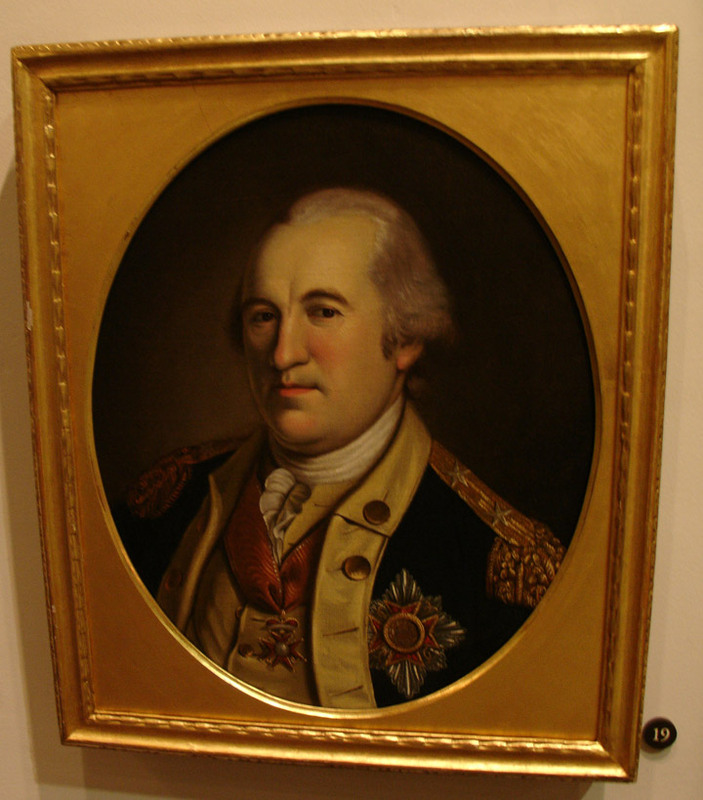 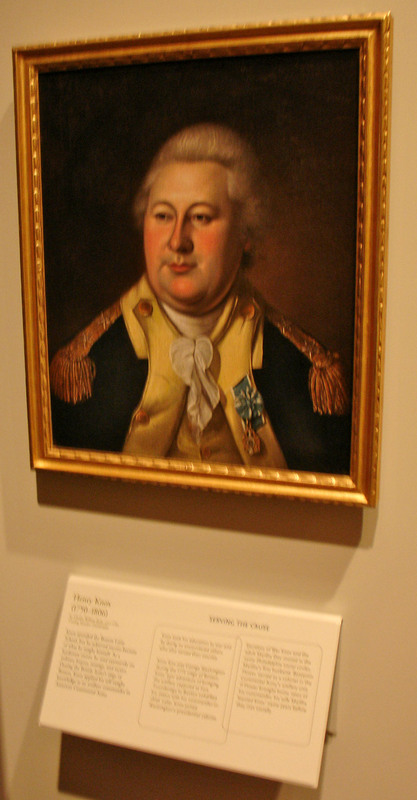 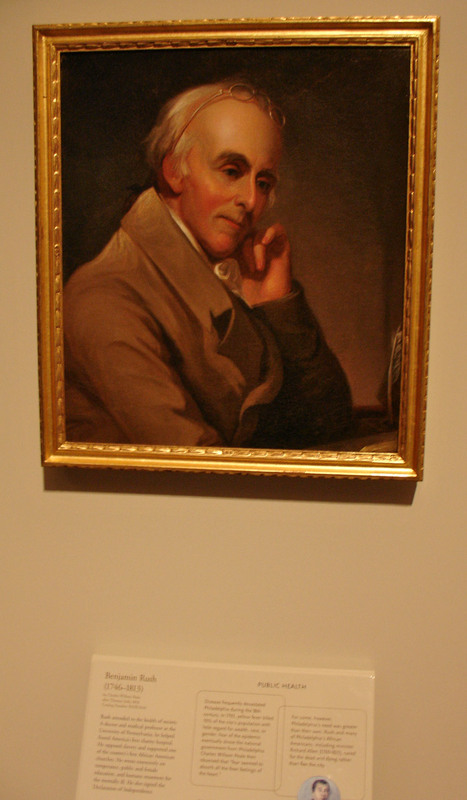 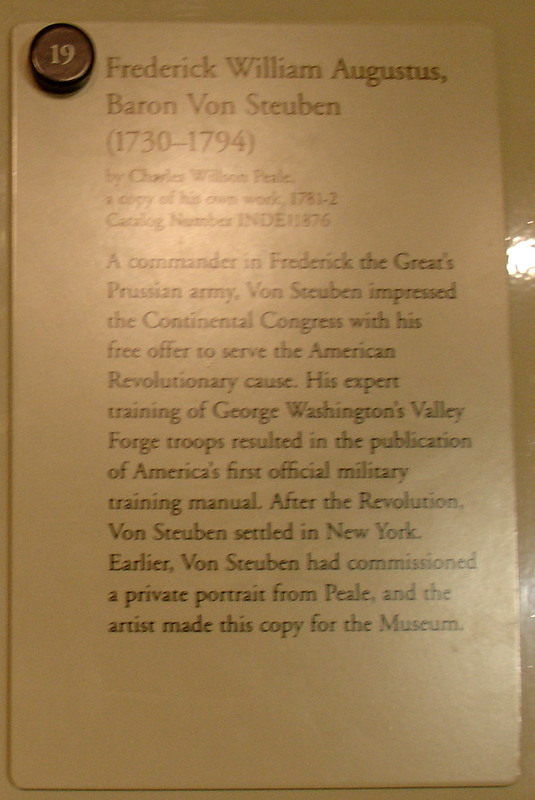 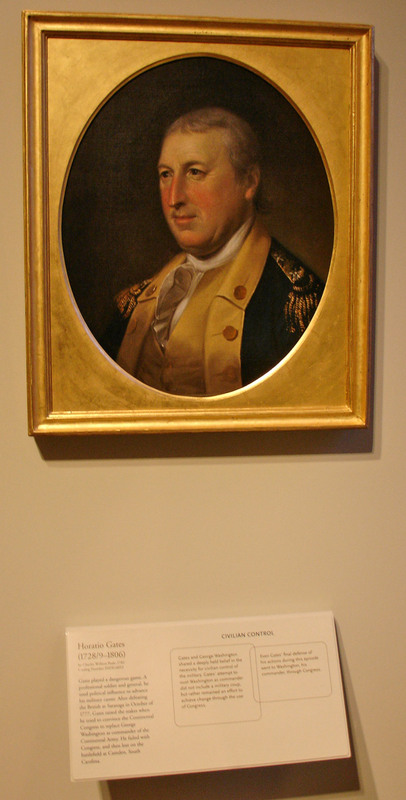 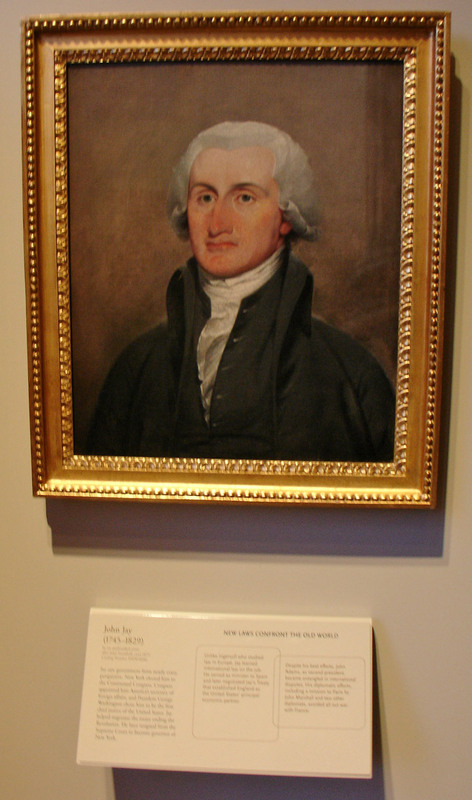 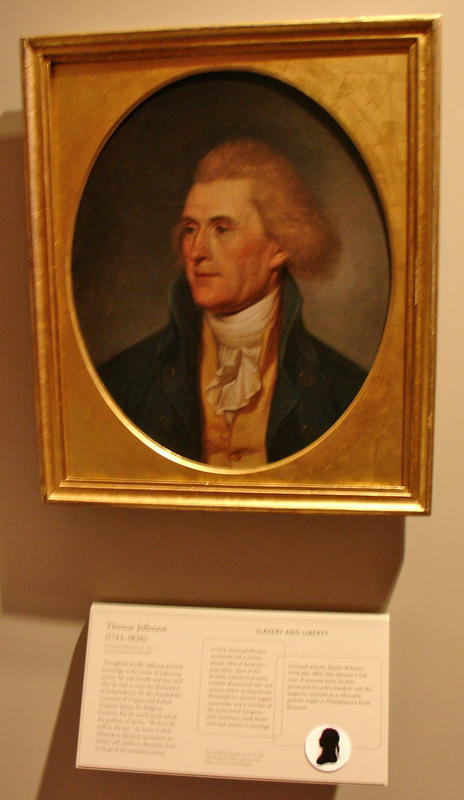 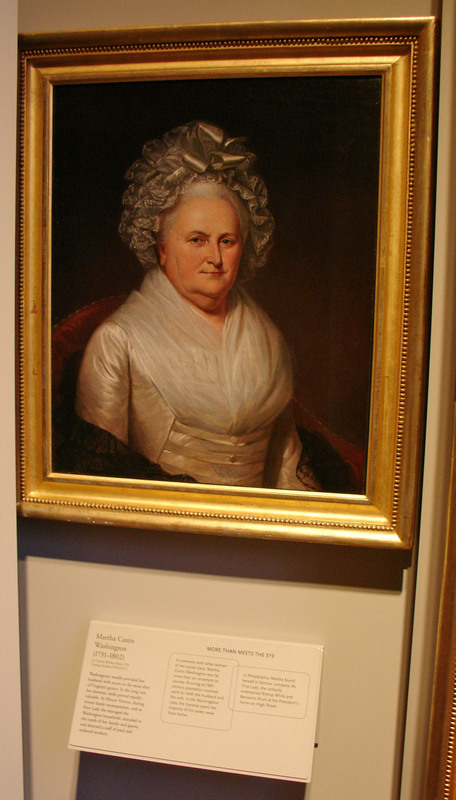 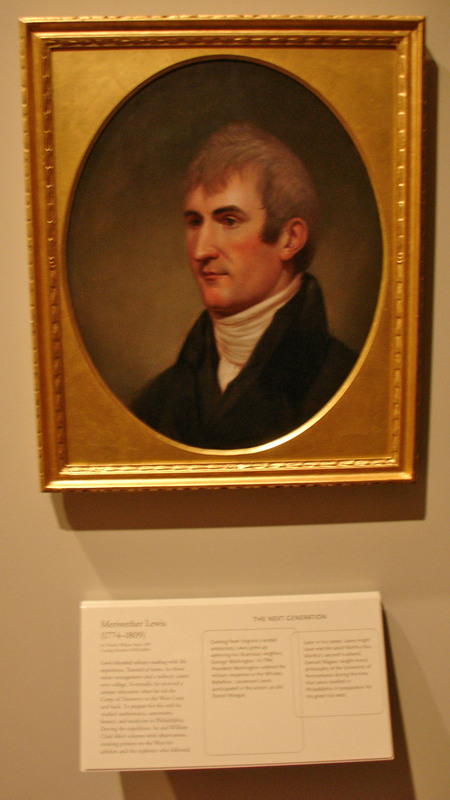 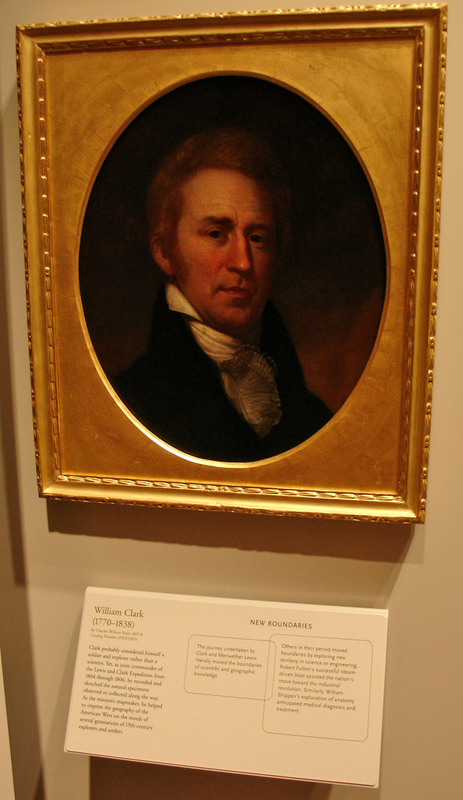 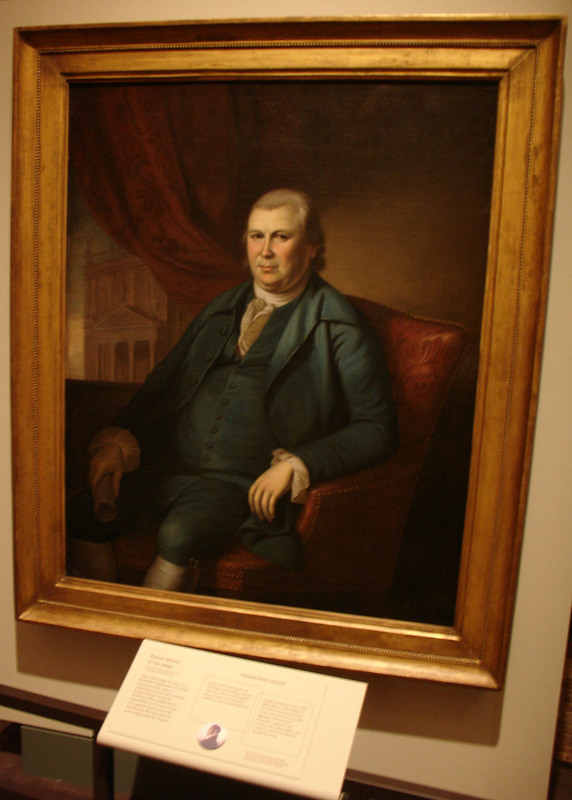 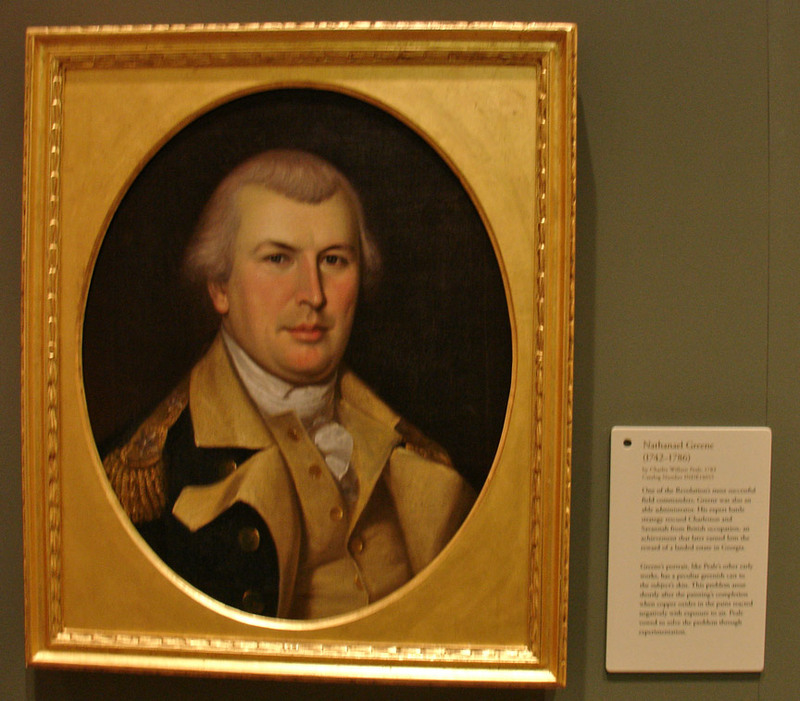 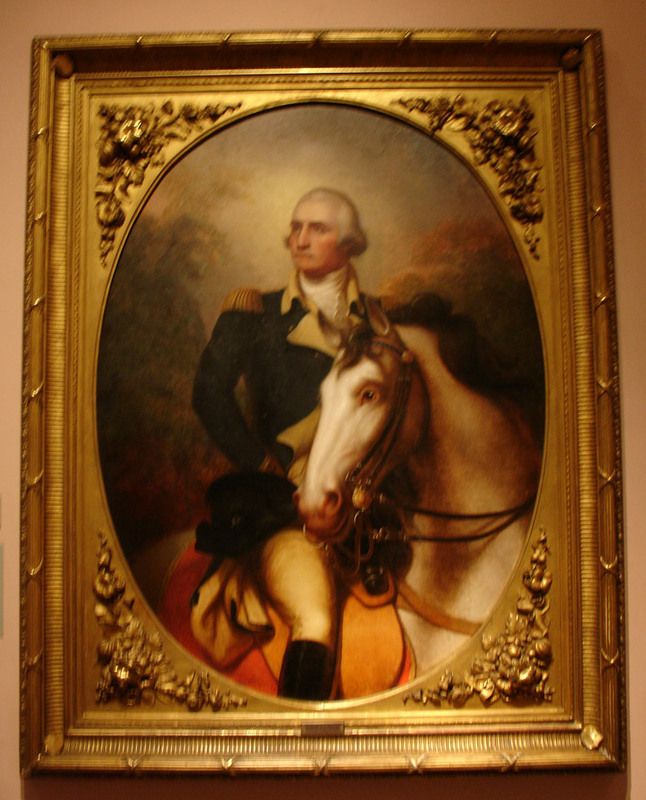 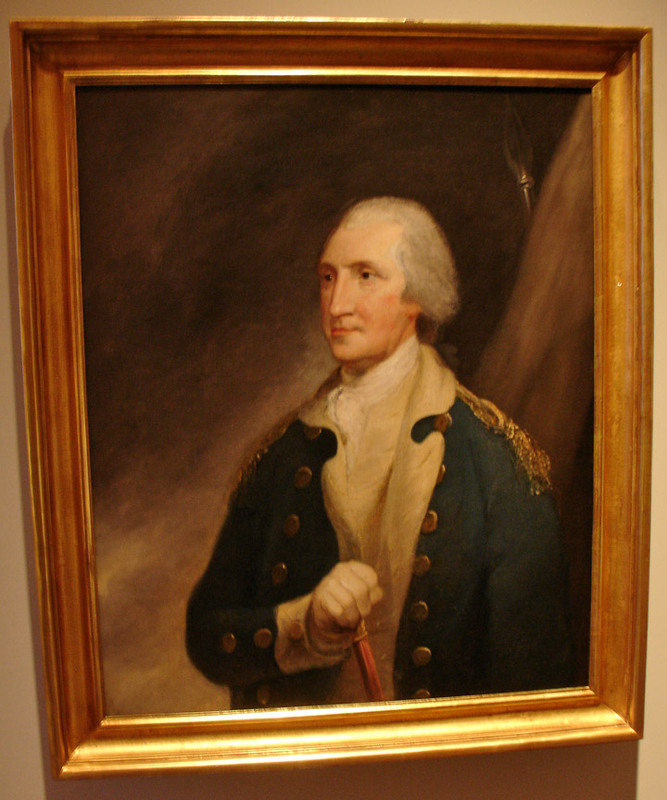 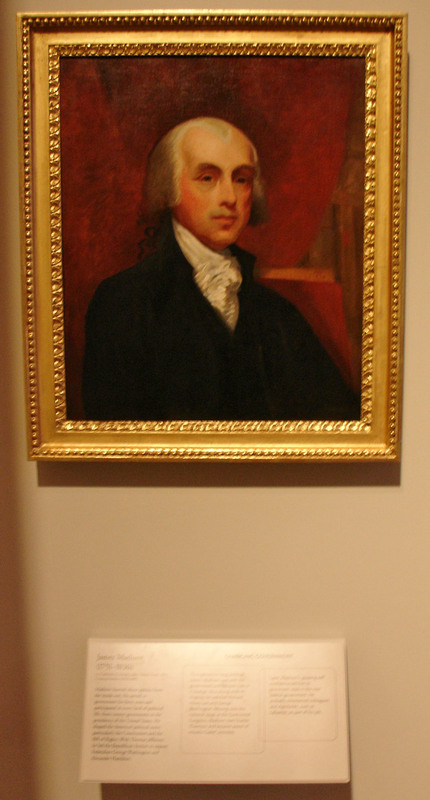 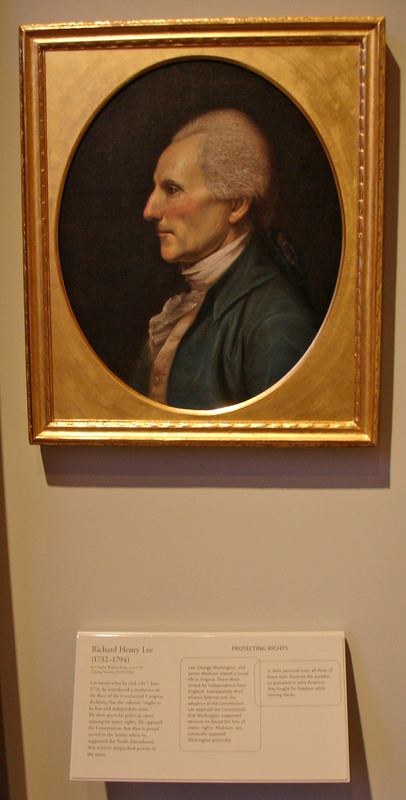 Many of the portraits were painted by noted artist Charles Willson Peale and once hung in his eponymous Peale Museum — for a time located on the upper floor of Independence Hall.